. . . is a structured search engine optimisation competency development programme for organisations wishing to acquire an in-house capability to improve their website’s search performance. The programme consists of four (4) morning one-to-one (or group) workshops spread over four to six weeks, consisting of a mix between participant learning and live implementation where appropriate and possible. The format of the programme is designed to be minimally intrusive into busy work schedules and is exclusively focused on your company’s website. During each workshop, participants will learn how to apply specific techniques (beginner to advanced), in some cases actually apply the techniques during the workshop itself, and will be expected to complete specific tasks related to the techniques before the next workshop. Support is available between workshops to assist with task implementation. 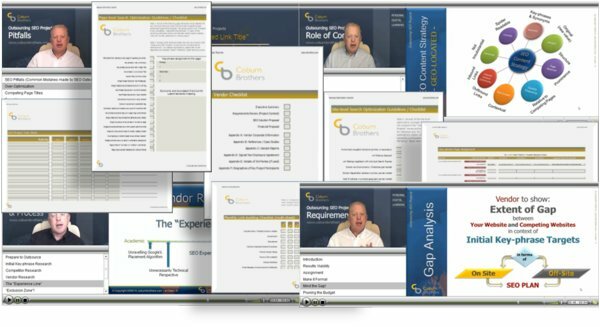 The SEO Coaching programme is right up-to-date and is supported with participant worksheets, slides and online video. 1:1 SEO coach driven implementation mentoring is business-focused and does not loose sight of your need to materially improve your website’s online sales enquiry performance as a direct result of engaging this programme. It is not blurred with unnecessary technical detail nor does it promote search visibility at the expense of professional design. This programme will help you achieve the difficult balance of excellent SEO practices without compromising the usability of your website. SEO is often incorrectly considered to be a technical initiative. In fact, SEO strategy,SEO design and a big part of SEO implementation is a non-technical, marketing initiative and only a relatively very small portion of the work involved is actually technical. Despite this, there are several new concepts involved in search engine optimisation, and sometimes, learning something new is akin to a technical perception! There is nothing on this programme that should intimidate you as long as you are open to new ideas. So get ready to engage one of the biggest and most exciting channels in digital marketing that is entirely within your capability to understand and implement. Why Choose This SEO Programme?It is a structured, proven implementation process that will drive results. It is business focused. You do not need to be technical to participate in it. It is a cost effective, one-to-one engagement emphasising execution – not just learning. It is solely focused on your specific website, your specific competition and your SEO strategy. It is a repeatable process which empowers you to become independent, retaining your SEO competency long after the programme has completed and avoiding the typical recurring costs often associated with SEO. You will enjoy it and will very likely learn more about your served market on this programme than any other initiative you may take! It is led by a trusted SEO project practitioner with hundreds of successful SEO projects completed. It can start within weeks of your first expression of interest. 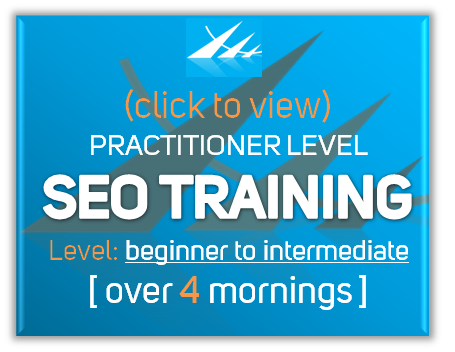 Format: One hands-on SEO mentoring workshop per week over four weeks plus between-workshop tasks. Each workshop is comprised of two parts: (1) Learning (2) Implementation (task commencement), with task completion requiring approx 2 – 3 hours effort between workshops. Workshops may be held either at your company’s offices or at PraxisNow’s offices in Sandyford Industrial Estate in Dublin. You will need to have available a wi-fi or 3G enabled Laptop computer. If you will not be making changes to your website directly, you will need access (following workshop 2) to someone who can make the relevant changes once each edit has been specified or task completed. You will be able to use the worksheets and special instructions to communicate the changes required. It is most important however that the required changes are made before the beginning of the following workshop. Each workshop is a minimally intrusive morning session consisting of a structured approach to one or more of the core elements of SEO. All sessions combine both strategy and implementation. If you are capable, you can expect to make changes to your website in real time. If not, you will be specifying the precise changes necessary for your IT or design resource to implement. You will be expected to complete specific tasks between sessions. These tasks are manageable and will not overburden you. Each is designed for maximum impact. Direct assistance is available to you as needed or required between workshops as you carry out each task. Throughout the project, you will be mentored; you will have specific website-related goals to meet between workshops and will have access to PraxisNow by telephone and email as needed to help you meet the requirements of each goal. The between-session workload is carefully planned for minimum intrusion into busy work schedules. The programme aims to deliver both short-term results (within 3 months if all tasks are completed on time) as well as longer term results in the form of meaningful and improved placement of your website against relevant search phrases. You will be encouraged to seek out a mix of target search phrases that are competitive and target search phrases that are relevant but less competitive. Whilst the former will most likely take time to show results, your choice of the later will demonstrate proof of concept to give you the confidence and drive to push through with more ambitious, competitive search phrase targeting. You will need to agree with PraxisNow in advance if you wish to include more than two people in the workshops. The primary consideration is that the programme’s focus will be on one single website. It is often a good idea to involve people from different disciplines within your company in order to establish a common framework and “language” going forward. This is a once-only, fixed price implementation-focused project. No recurring fees are relevant as you will be fully capable of addressing most future SEO requirements directly following the engagement. The SEO coach-driven 1:1 Implementation Mentoring programme will help you to broaden your website’s reach into your served market via the major search engines. It will achieve this for a cost that is contained and within a timeframe that makes sense. In four weeks, you will be guided using a proven and structured SEO implementation methodology to improve your website’s visibility on the primary search engines – and as a result, to get your message in front of more qualified potential buyers – when they are ready to buy, not just when you are ready to sell.